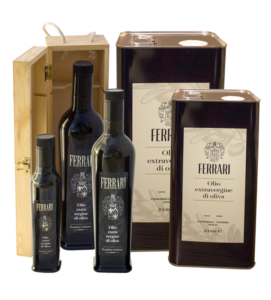 Ferrari extra virgin olive oil comes from a blend made of 50% of leccino olive variety and 50% of canino olive variety. It is obtained by the cold process method, that gives the oil a mild and sweet flavor, with the lowest level of acidity, and a soft smell that reminds us mediterranean fragrances. It is well balanced, with a delicate taste that is never bitter but enough spicy.It has a fluid but consistent body. It is naturally made without any additives or chemical substances. This oil can be combined with all your dishes, from meat to pasta, fish or vegetables. It can also be an alternative to butter in desserts. Ferrari EVO oil is available in glass or tin, in sizes from 0.100 ml up to 5 liters. It is available in glass from 0.25 ml. 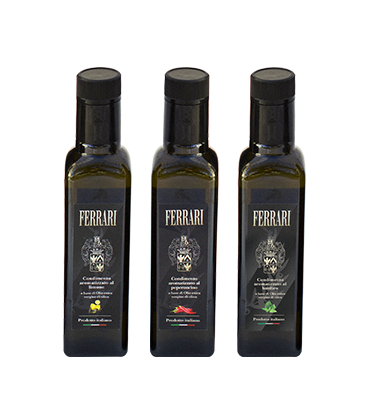 The Ferrari Farm also suggests to taste its Olive oil spread, made 100% from olives without any other additives or artificial preservatives. It is mild bitter, sweet spicy, with a delicate and fruity aroma, typical of fresh herbs that grow in Italy.taste it on a slice of fresh baked bread or on a bruschetta, or also add it to spaghetti,or mix it with creamy cheese, you will rest breathless! Available in jar 200 gr. See the recipe of spaghetti with olive patè. Pack 200 gr. 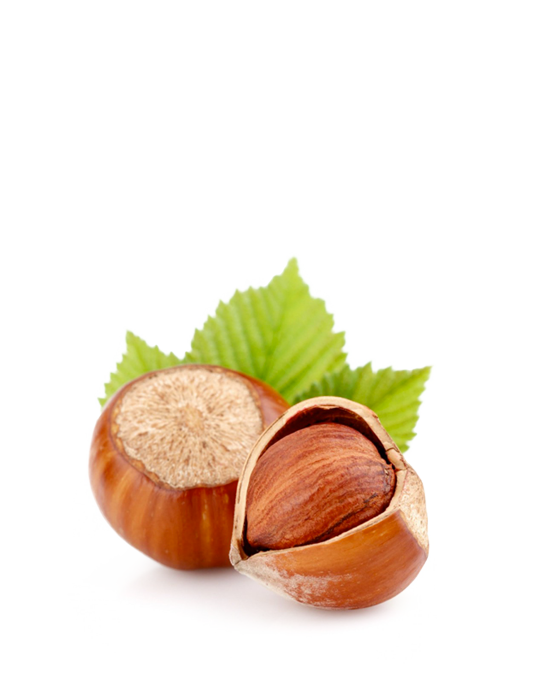 Hazelnut is the nut of hazel, also known as filbert nut. It is a very caloric fruit; as a matter of fact it is rich of fatty acids, especially unsatured ones, vit E, K and minerals as potassium, calcium, phosphorus. It can be used in whole grain, toasted or raw, or chopped in different sizes. It can also be processed in spread or paste. Anyway, it is a precious ingredient in any dish, especially for desserts. So you can add it to cakes, cream, cookies but also in liquors or pasta. The Ferrari farm only offers in shell hazelnuts.